Whether it has been weeks, years, or decades since your last dental visit, our staff at Damascus Dental Group can help. We pass no judgment and are simply dedicated to making your teeth and mouth healthy. Once you have chosen to visit our large staff of doctors and hygienists, we will conduct an initial examination and take x-rays to determine which services may best benefit you. No matter what your dental needs are, we may be able to assist you! Our staff at Damascus Dental Group expertly performs our services with the right mixture of compassion and skill. We have served numerous patients, and we truly cherish the long-lasting relationships we have developed with our regular clients. We hope to begin a long-standing relationship with you as well. From childhood to adulthood, your teeth play a large role in your life. Make sure you choose the right team to protect you and your oral health. 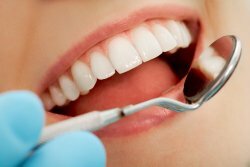 Although we offer a wide range of dental services, one of the most important is our initial dental examination. The dental examination enables us to understand what dental issues you may have, and it helps us develop a customized plan to resolve those issues. Your smile is one of the first things people notice about you. 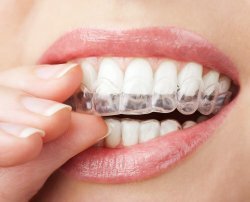 Our staff at Damascus Dental Group will make sure your smile positively reflects you. To begin a dental hygiene plan, or to continue an oral health regimen, choose our team. For additional information, contact us at 301-253-2174.